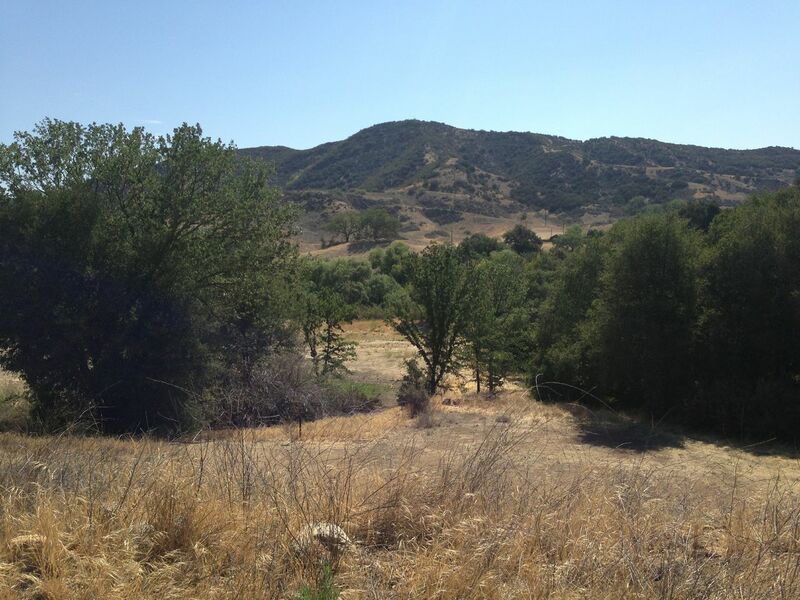 I dropped the kids off at daycamp, was at the north side of Agoura Hills, and had about 2 hours to kill so I shot off into the canyons. 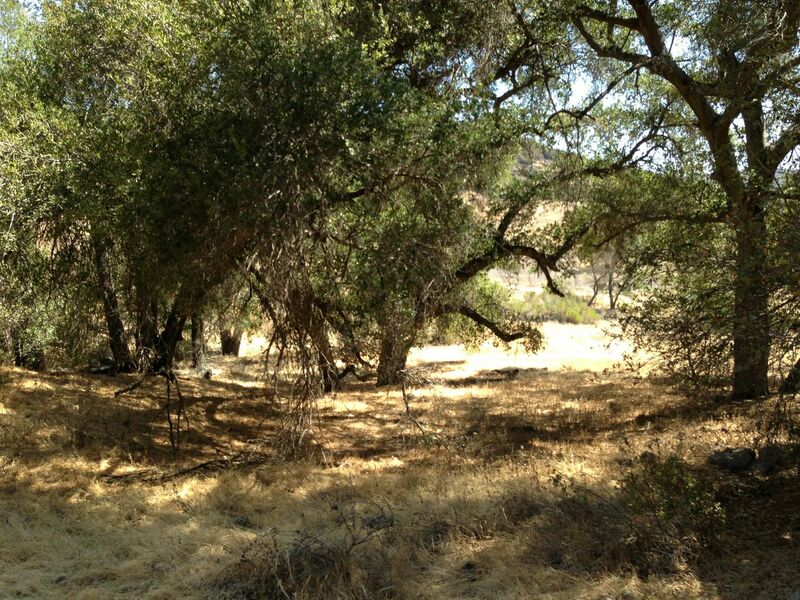 By luck I came upon Paramount Ranch which was the perfect size to explore in the time I had. It — is — so — fun! 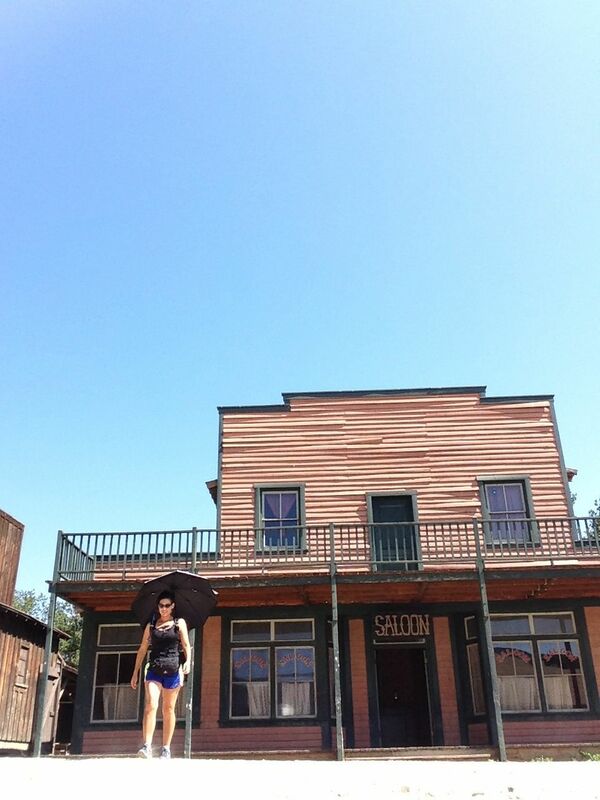 A whole Western town set is at the entrance leading into a web of trails where many movies and tv shows were filmed. (Look here if you want more info about all that stuff…) It was about 100 degrees out, but fortunately I carry my silver umbrella. It is my superpower. I’m always impressed when I see horseshoe prints on the trail. This is a very equestrian area. Very Old West. 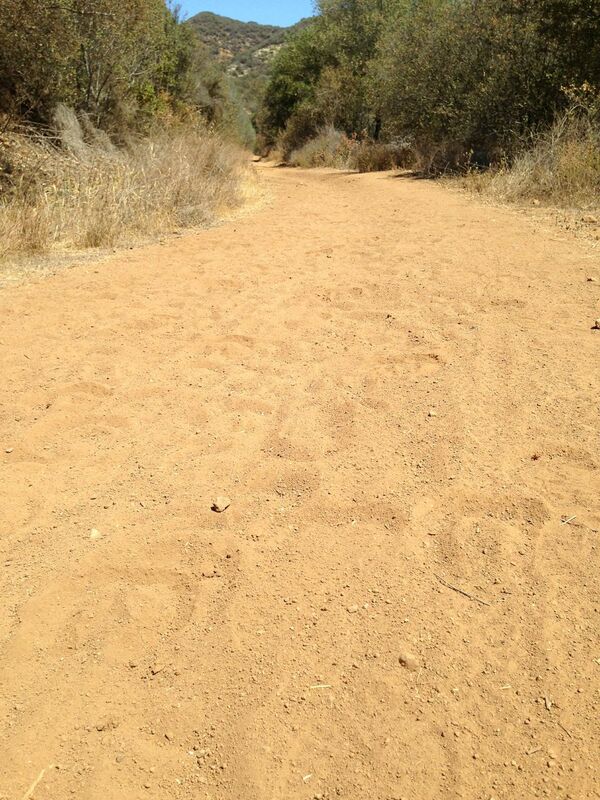 Seeing these footprints on local hiking trails inspires imagination for me.